New Expanded Deck & Oceanfront Tiki Bar! Fresh fish doesn’t get any fresher than when You Hook Em and We Cook Em for you. Ask about our “You Hook Em – We Cook Em” special. The Happiest People in the World Pass Through This Site! What are you waiting for? Bring the whole family out to Nags Head Fishing Pier. On one of the oldest and longest piers on the Outer Banks, NC, you and yours can cast out your line and reel in memories that will last a lifetime. Whether you’re fishing for fun, sport or for your appetite, Nags Head Fishing Pier is the place. Our Pier House Restaurant and Capt. 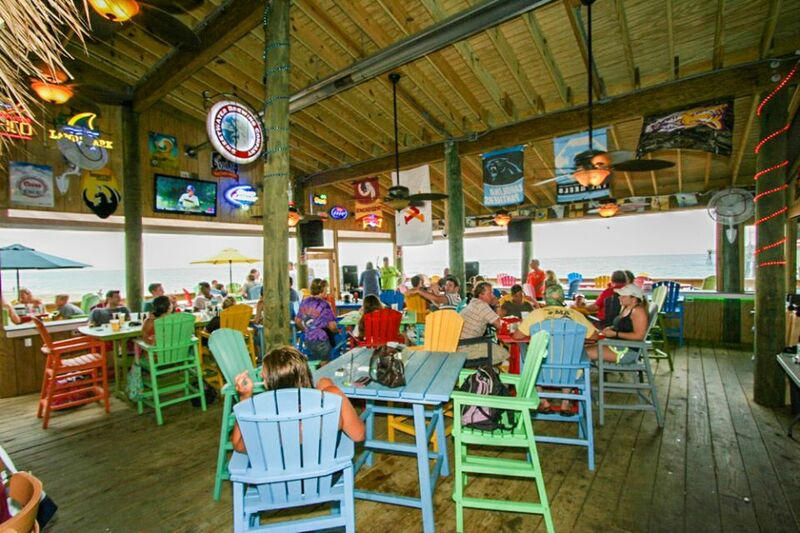 Andy’s Oceanfront Tiki Bar and Grill sits right on the beautiful Atlantic with amazing ocean views. Our menu can satisfy any appetite offering a wide variety of dishes including the freshest seafood available and a wide variety of drink options. Fresh seafood can’t get any fresher than when you catch it and we cook it right here – You Hook “Em – We Cook “Em! the Nags Head Fishing Pier soon.